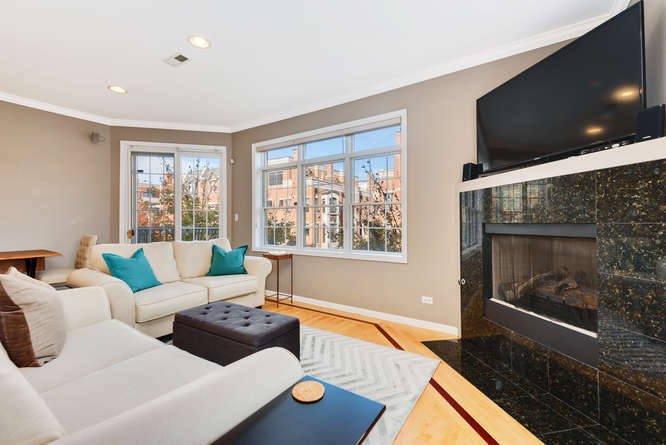 You’ll love this condo in the heart of Bucktown/Wicker Park area. Generous living area with large windows that allow sunlight to stream throughout the day. You’ll love this kitchen for both preparing meals and entertaining. Your guests can enjoy watching you prepare the meal while they sit at the large island and enjoy a glass of wine. 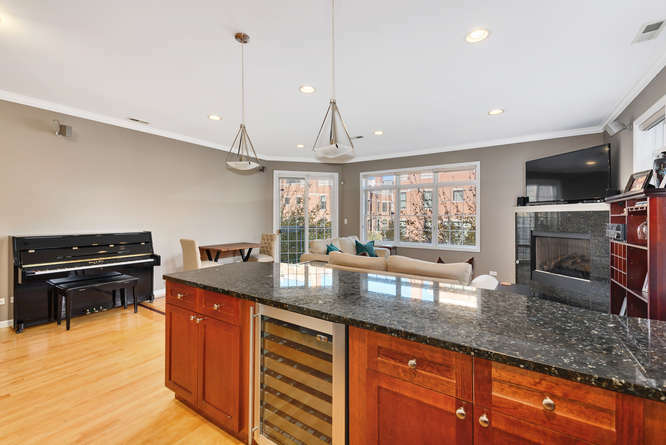 Granite counters, 42” cherry cabinetry and stainless appliances complete this kitchen. 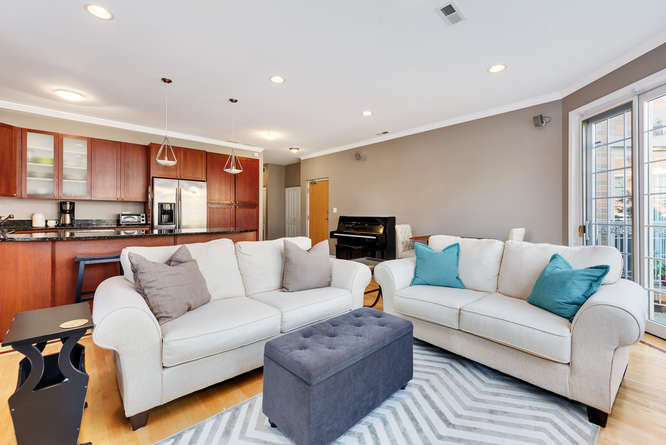 Maple hardwood floors throughout the unit. 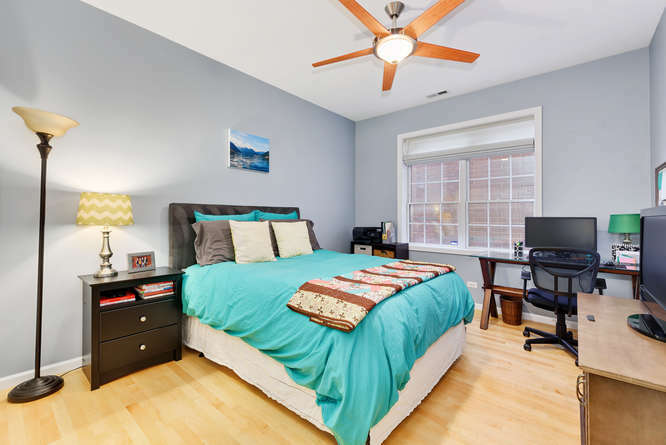 Your master bedroom has a large walk-in closet and French doors that lead to the 2nd deck in this unit. 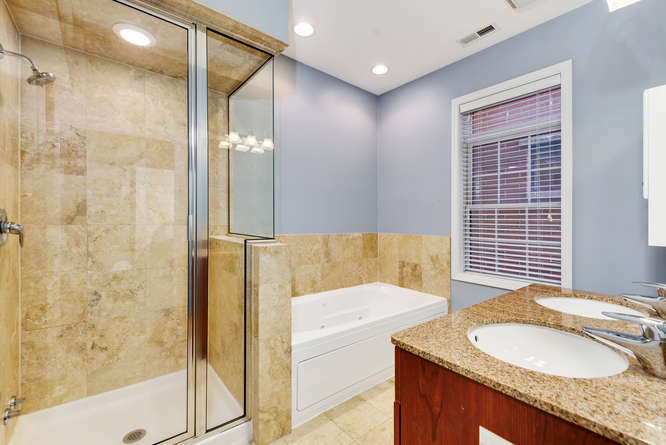 The master bath is neutrally finished with marble counter tops, double vanity and a separate walk-in shower. Soak away the day in the jetted tub. 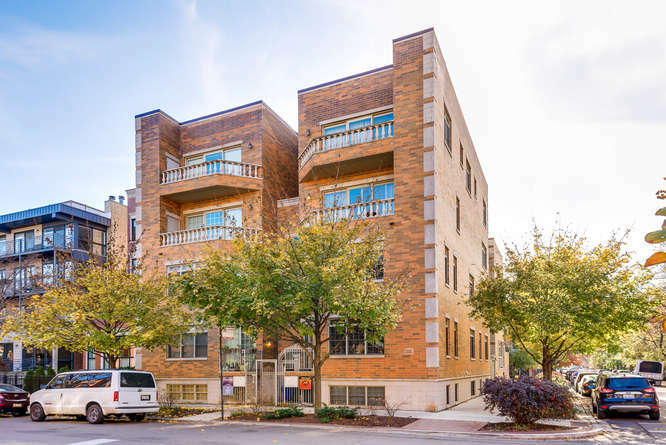 This unit also features a small private balcony on the front of the building and a common rooftop deck. Rated 94 on the walk score, you’ll enjoy walking to the many shops, restaurants and nightlife. One car garage included in the price. Large living area with a fireplace to enjoy a warm cozy night. Abundant windows all around to allow tons of sunlight to stream through all day. 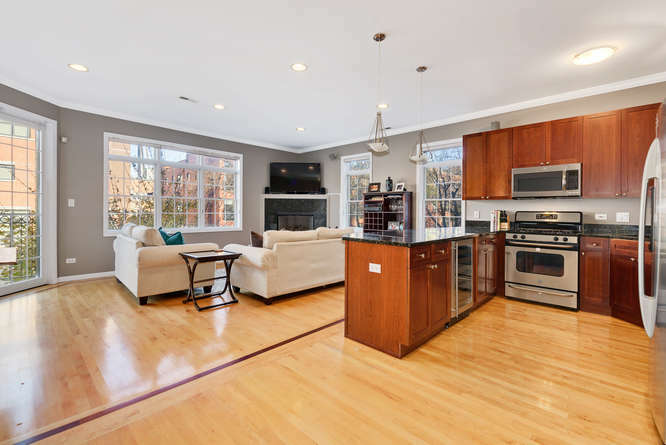 You’lll appreciate the maple hardwood floors and the French door that leads to the 1st balcony. Adjacent to the kitchen, which makes it easy to entertain. 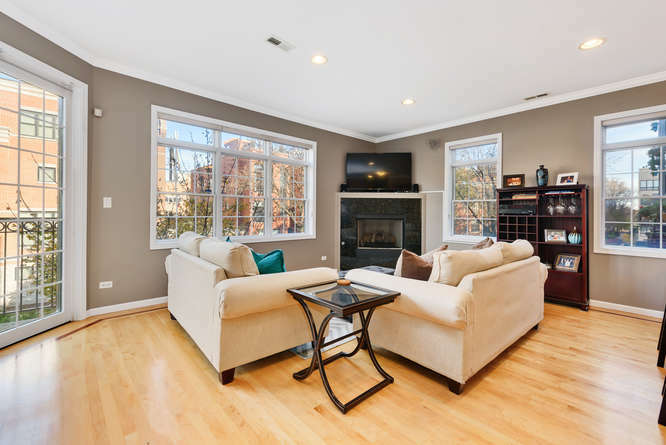 Enjoy the small balcony off of the front of the living room along with the generous windows for tons of sunlight. 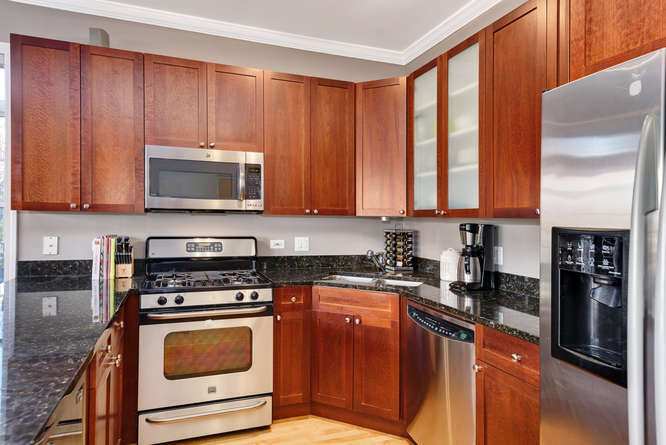 42″ Cherry cabinetry highlighted by granite counters and stainless appliances. You’ll enjoy preparing a meal while your guests relax at the large island. 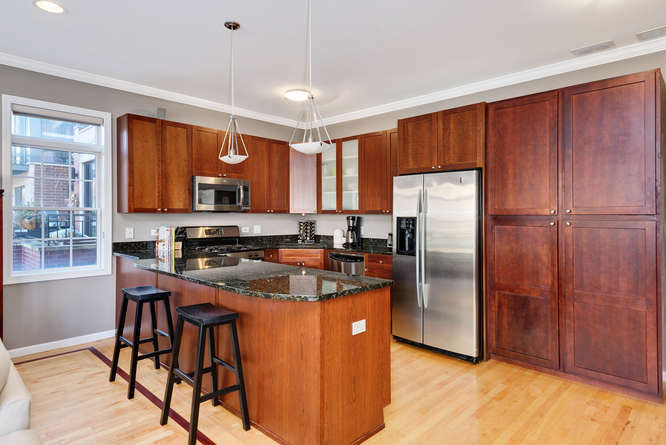 The cherry cabinetry is highlighted by the light maple floors and stainless appliances. Who wouldn’t enjoy preparing a meal in this efficient kitchen set up? The built in wine beverage cooler is a must for entertaining. Nice sized bedroom that has a very large window and a wall closest. Your guest will feel right at home in this room. 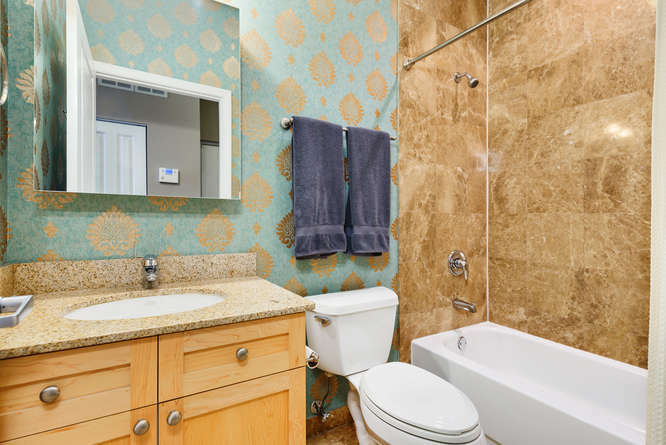 Your guest will enjoy this tastefully decorated full bath conveniently located next to the guest bedroom. Step into this large bedroom suite and you’ll appreciate the size of this room with silhouette shades for privacy on your window and your French doors. 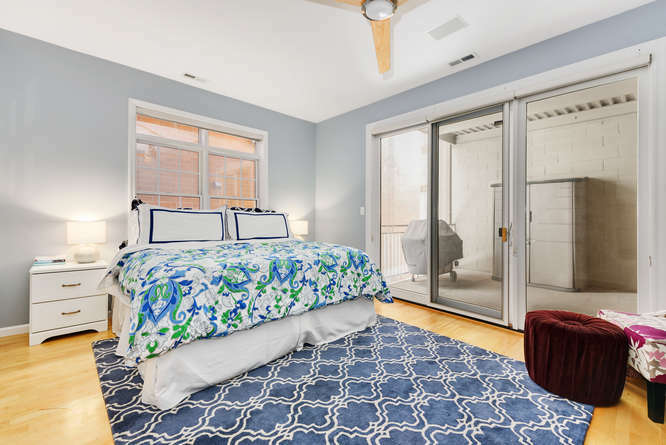 The large walk in closet allows you the luxury of space. A large jetted tub and a separate walk in shower give you the feeling of staying at a hotel. Neutral tile throughout and a double vanity make it easy for two to get ready. 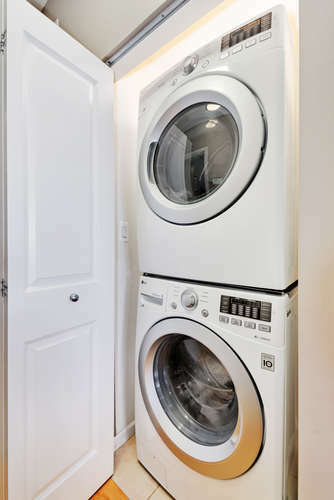 You’ll never have to leave your unit to do the laundry again. 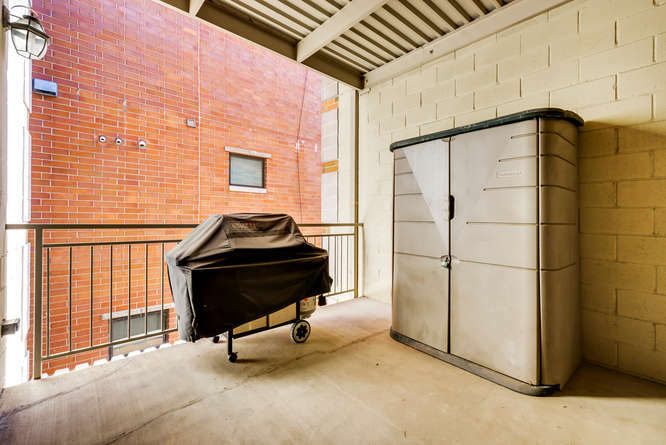 You’ll enjoy being able to grill on this large deck, store items and enjoy a warm summer’s night. 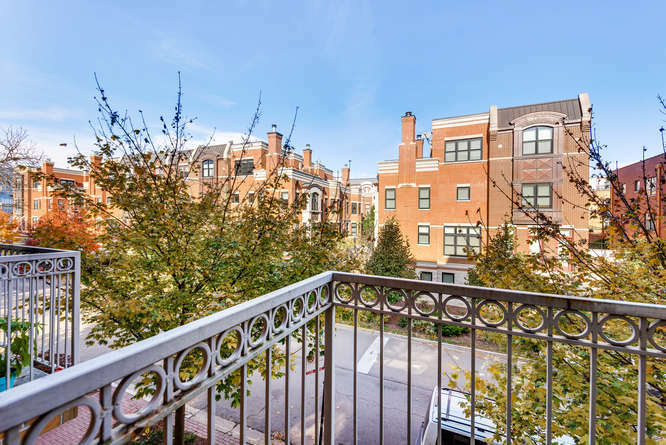 Enjoy the tree top view from the front of your unit. 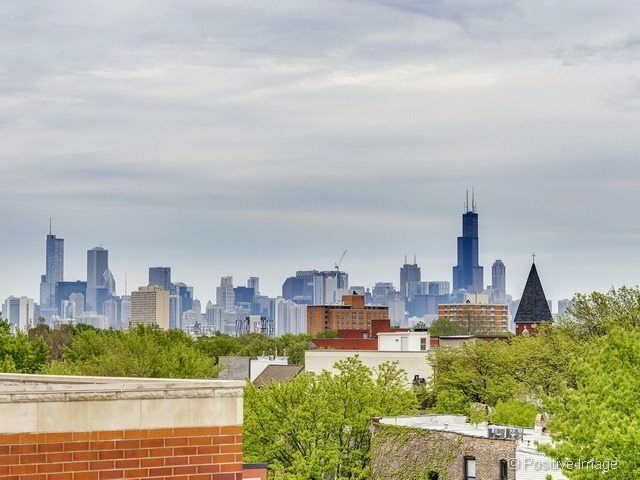 Enjoy the city view from the common rooftop deck for all building residents to enjoy.